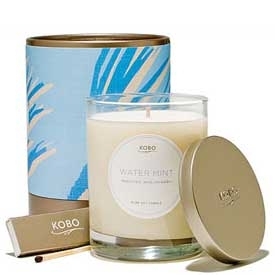 A delicate blend of oceanic and green scents. Water Mint is fresh and clean with a touch of enlivening mint to finish. Perfectly present yet unobtrusive. Each 11 oz glass candle comes complete with an extinguishing lid and a custom-designed box of wooden matches.